Sheila Bapat is an attorney and freelance writer exploring economic and gender justice. Her book, Part of the Family, chronicles the rising movement for domestic workers’ rights. 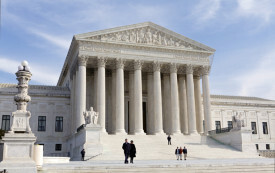 What Do the Recent Supreme Court Decisions Mean for Women’s Economic Security? In the final days of its last term, the Supreme Court handed down three rulings of major consequence for women. Our panelists discuss.